You've painted a room in your house to give it a new, fresh look but are now left with a strong paint smell. The odor is caused by the chemicals used to create the paint, and the smell typically takes a few days to dissipate, which is often longer than you would like. 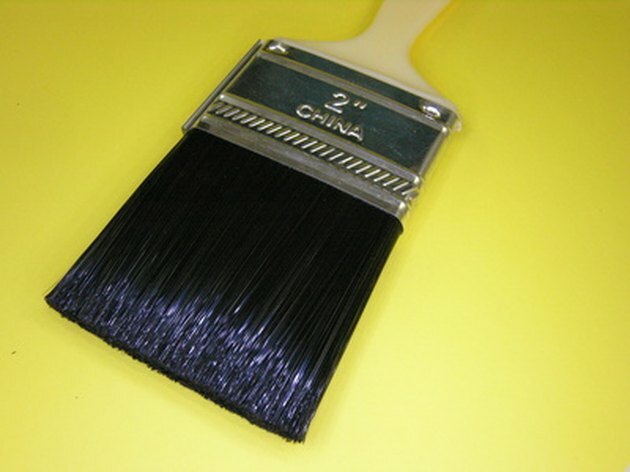 To get rid of the smell and make the room usable again, use a few inexpensive techniques to get rid of the paint odor. Get the paint smell out of a room with vinegar. Open all windows and place a fan in the room's doorway, pointing outward toward the direction of the window. This will ventilate the room and dissipate the paint smell. Place bowls around the room, each filled with about 1 cup white vinegar. Vinegar is a natural deodorizer and can dissipate the paint odor. When you use the vinegar, there will be a vinegar odor in the room for a few hours, but when the vinegar odor goes away the paint smell will be gone as well. Let the bowls of vinegar sit in the room for four to five hours. Sprinkle baking soda into bowls as well and place around the room, using approximately 1 cup baking soda in each bowl. The baking soda is a natural odor absorbant, which collects and gets rid of the paint smell.